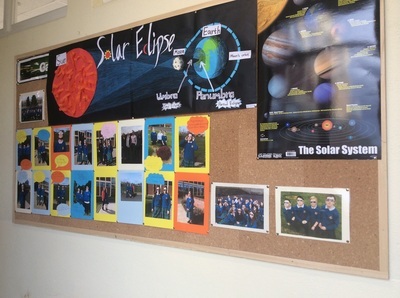 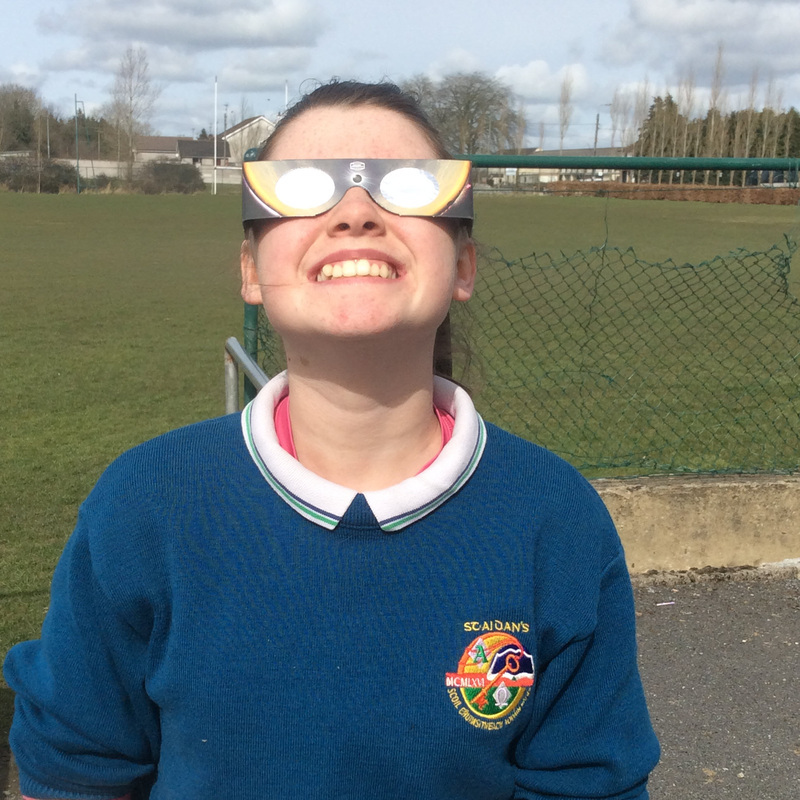 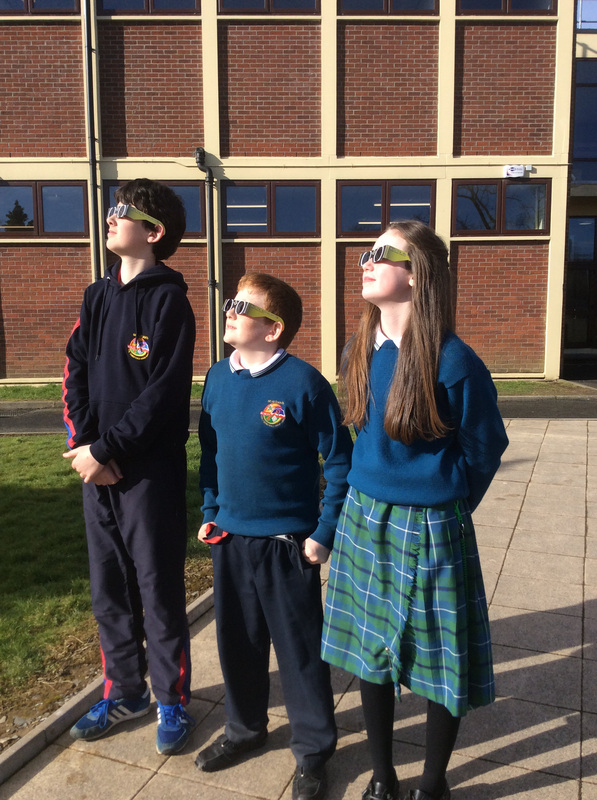 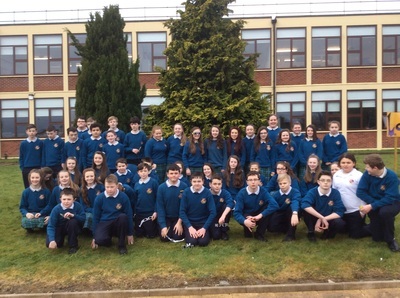 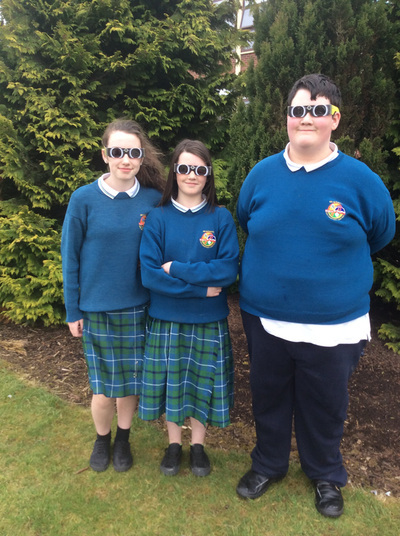 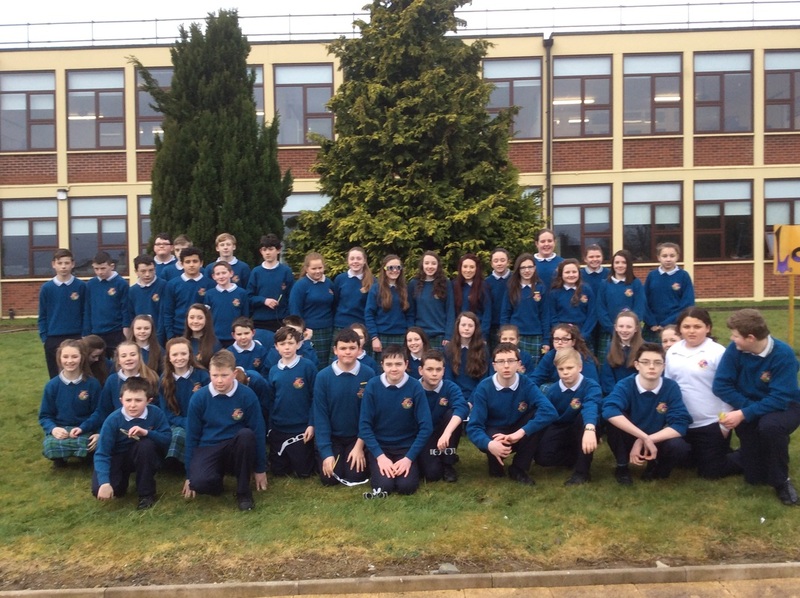 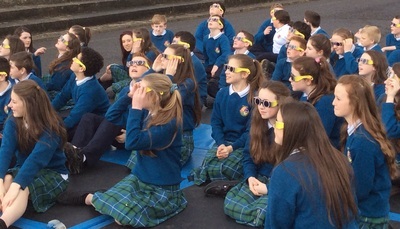 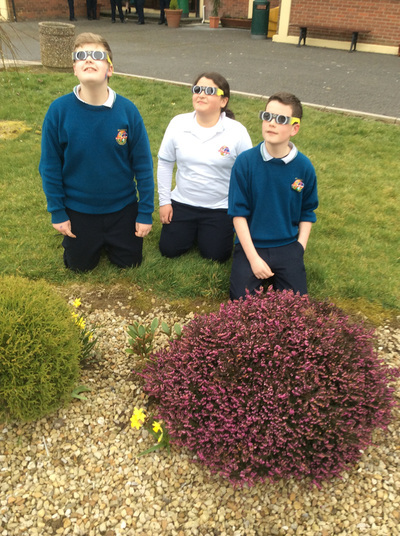 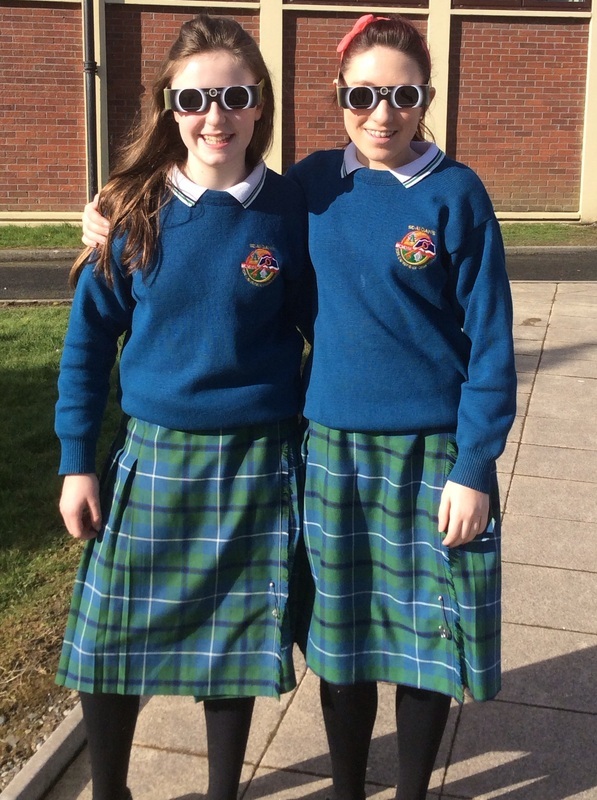 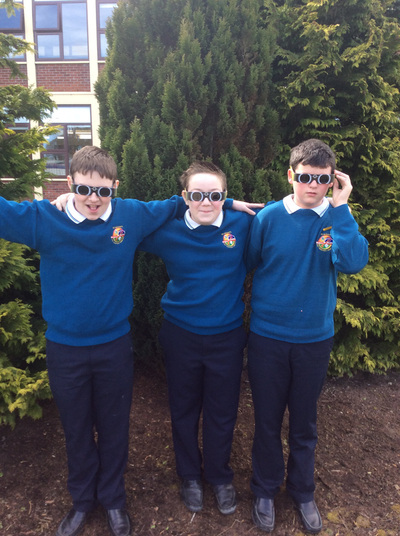 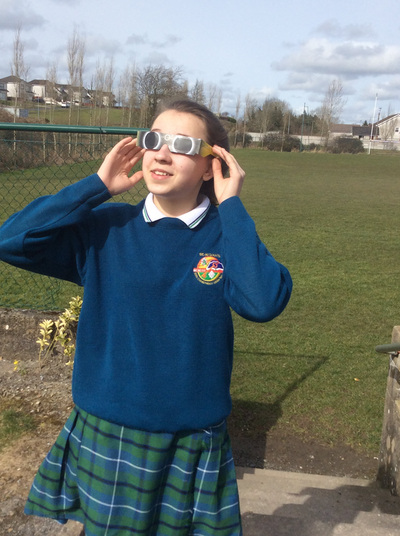 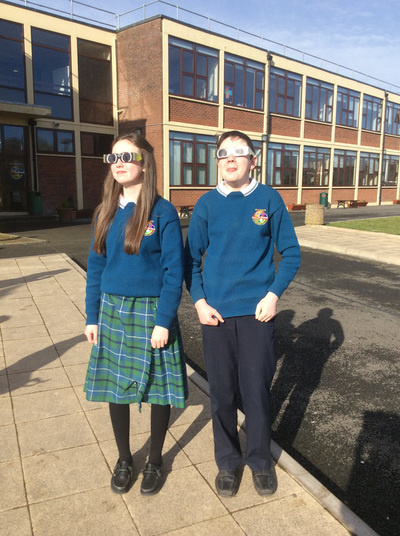 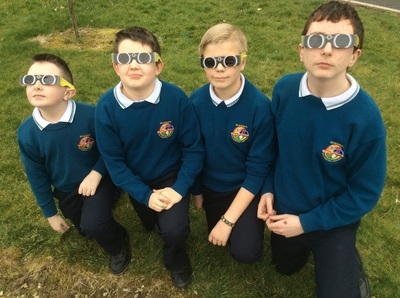 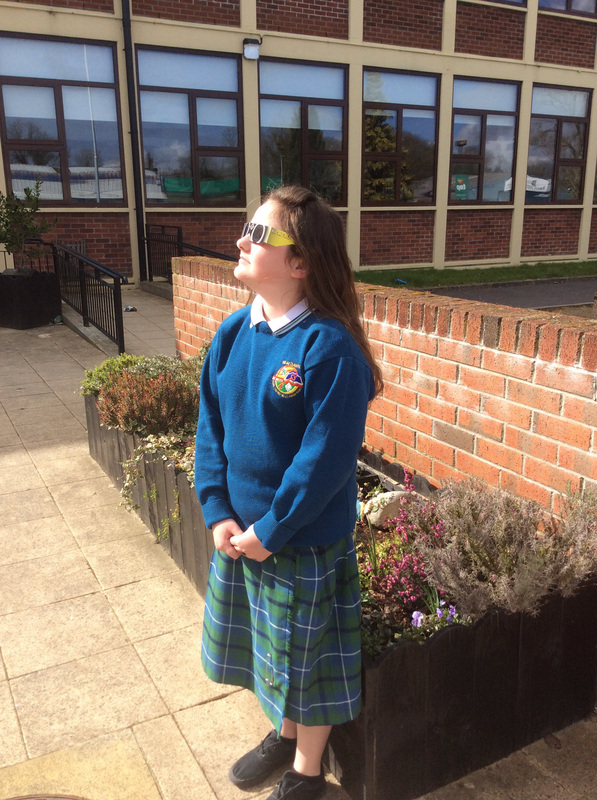 On Friday morning the 20th March, Ms. Ní Bhaoill and her First Year Geography class at St. Aidan’s Comprehensive School were astronomers for the day as they went star gazing to view the partial solar eclipse as it tracked its way across Cootehill. Clouds dimmed the pre-eclipse excitement from 08:22. 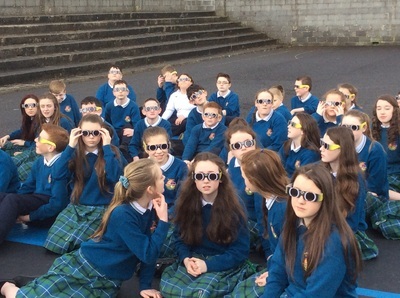 But at 09:06, to prove every cloud has a silver lining, the students quickly put on their solar eclipse glasses, keen to catch a glimpse of this rare phenomenon, as the overcast sky parted allowing the eager eclipse-watchers to view the sun with a deep bite out of it caused by the passing moon. The clouds did not dampen the mood among the enthusiastic and excited students, as it helped to emphasis the dramatic loss of light that takes place during an eclipse as the moon glides over the face of the sun.